Amendments made to the Canada Business Corporations Act (“CBCA”) in the October 2018 federal budget bill in furtherance of this Agreement received Royal Assent on December 13, 2018, and are scheduled to come into force on June 13, 2019. The provinces and territories have not yet introduced similar legislative amendments, but given the agreed-upon timeline, it can be expected that each of these jurisdictions will soon follow their federal counterpart. These amendments, which have not been widely publicized, apply to all CBCA corporations other than reporting issuers and publicly-listed corporations. They mandate the establishment and maintenance of a new register of individuals with “significant control” over the corporation. This article examines the scope of the new rules and some of the interpretive issues arising from them. (c) an individual to whom prescribed circumstances apply. (b) any number of shares that is equal to 25% or more of all of the corporation’s outstanding shares measured by fair market value. (f) a description of each step taken in compliance with the corporation’s obligation to update the information annually. (c) any other matter relating to the affairs of the corporation. (d) a shareholder who contravenes the requirement to provide requested information to the corporation commits an offence and is liable on summary conviction to a fine not exceeding $200,000 or to imprisonment for a term not exceeding six months, or to both. 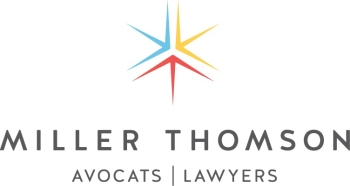 The new federal rules (and the anticipated mirror amendments to provincial and territorial legislation) will impose significant new obligations on corporations and their professional advisors as of June 13, 2019. They will also create a great deal of uncertainty in their application and compliance. While it is common for CBCA corporations to request and obtain from new shareholders covenants, undertakings or assurances as to the beneficial ownership of shares in conformity with National Instrument 45-106, such compliance is not universal and many affected corporations will not have previously maintained the extensive information that must be maintained in the new register. Additionally, while corporations are authorized to request the information from shareholders, one wonders what mechanism corporations have to enforce compliance. (Non-compliance may be an offence for the individual but that does not assist the corporation). One interpretive issue that arises pertains to the meaning of “significant control.” Can a shareholder, or a beneficial owner, object to the inclusion of their personal information in the corporation’s register on the basis that they do not own or hold “significant control”? While corporations should consider implementing best practices to obtain personal information concerning all shareholders and their beneficial owners, they will also need to consider the thresholds for when that information may be, or must be, included in the register. Consider the compliance burdens that will arise in multi-tier structures where questions of control (including indirect control) can be exceedingly difficult to unravel. Furthermore, the compliance obligations apply to every affected corporation within the structure; it will not be sufficient to aggregate control amongst a particular corporate group. Consider also the difficulties a corporation and its officers will have in determining whether a particular shareholder, or beneficial owner, meets the threshold of 25% or more of all of the corporation’s outstanding shares measured by fair market value. In the case of corporations with complex share capital structures, there may simply be insufficient valuation evidence to make those bright-line determinations. A second interpretive issue arises with respect to the meaning of “voting rights.” In determining “voting rights” attaching to “voting shares,” does one take into account only voting rights as may be exercised for the passing of ordinary resolutions? Or must this be expanded to a consideration of enhanced voting rights, for example, in respect of special resolutions or pursuant to special approval provisions of a unanimous shareholders’ agreement? A third interpretive issue is that it will be difficult for a corporation to determine when and whether an individual has “direct or indirect control” or “direct or indirect influence that if exercised would result in control in fact.” Traditional corporate and taxation law concepts of control may not assist or may not lead to full compliance with these new rules. Will corporate officers be required to obtain legal opinions as to how the exercise of certain rights contained within unanimous shareholders’ agreements, for example, option rights, veto rights, default rights, pre-emptive rights and share purchase and sale rights, may constitute “indirect control” or “indirect influence”? In the case of shareholders who are the trustees of a discretionary family trust, is it only the trustees who can exercise direct or indirect control or direct or indirect influence? On what basis can a beneficiary whose interest is not vested be said to control a share held by the trustees? Also, if regulations are introduced to assist with that determination, there will also be the issue of valuing the interest of such a beneficiary. Such “express trusts” may in fact be the easy cases; what is to be done in the case of resulting trusts or constructive trusts where a shareholder may not know, or may not have acknowledged, that he or she holds shares pursuant to such a trust. Additional issues arise from the fact that shareholders and creditors may only access and make use of information from the new register for the restricted purposes set out in the rules, including “any other matter relating to the affairs of the corporation.” The breadth of that purpose will mean that almost any use of the information can be justified. Clearly, for a creditor, that will include any matters relating to the creditor’s security and enforcement of that security, but one wonders whether a creditor’s information rights are really expanded in any meaningful way, given that creditors will typically be scrupulous in their security documents to require disclosure of any information they might consider relevant to their lending practices. Similarly, since a creditor can include Canada Revenue Agency, taxation authorities will be permitted access to this information, but it is uncertain whether this expands in any meaningful way the powers of CRA to access information that it could not otherwise access under its audit authority. The 2017 finance ministers’ Agreement refers to making beneficial ownership information transparent to “law enforcement,” but currently there are no provisions in the new rules that permit access by law enforcement officials or for law enforcement purposes. Although that may seem a novel and troubling development if the new rules were so expanded, it would follow international trends toward greater transparency of beneficial ownership information. In conclusion, these new rules can be considered the tip of the iceberg in terms of expanding legislative authority to bring about greater transparency to beneficial ownership. While owners and their professional advisors may consider that trend unduly intrusive, it is clear that all Canadian jurisdictions see the need to bring those jurisdictions in line with international standards. These new rules, however, also demonstrate how difficult it will be to implement the broad intentions on which they are based in a manner that creates certainty of obligations for corporations and their directors, officers and owners.